If you’ve never remodeled your bathroom before and are interested in taking the plunge—congratulations, you’re in for a ride through the home- improvement fast lane! With high-quality materials and an expert contractor to install your upgrades, bathroom remodeling is one of the fastest, most-surefire ways to add significant value and beauty to your home. At Luxury Bath of Tampa Bay, we know that planning a shower or bathtub replacement is a big step in your journey of homeownership, and we’ve put together some of our favorite bathroom renovation ideas to help you get inspired when turning your outdated bath into a space that you love spending time in. Sometimes, a simple expansion is the best thing you can do for your bathroom. If your bath feels a little on the smaller side, consider adding space for a bigger, brighter, and more functional bathroom area. Bathroom expansion is one of the more intensive renovation projects, and pricing estimates will vary greatly depending on what’s being done. The good news is that whether you wind up spending a lot or a little on a bathroom expansion, you’re likely to see a great return on your investment once you’re ready to sell. If you do decide to go this route, make sure that you hire a professional contractor to oversee the project from the initial planning stages to completion. 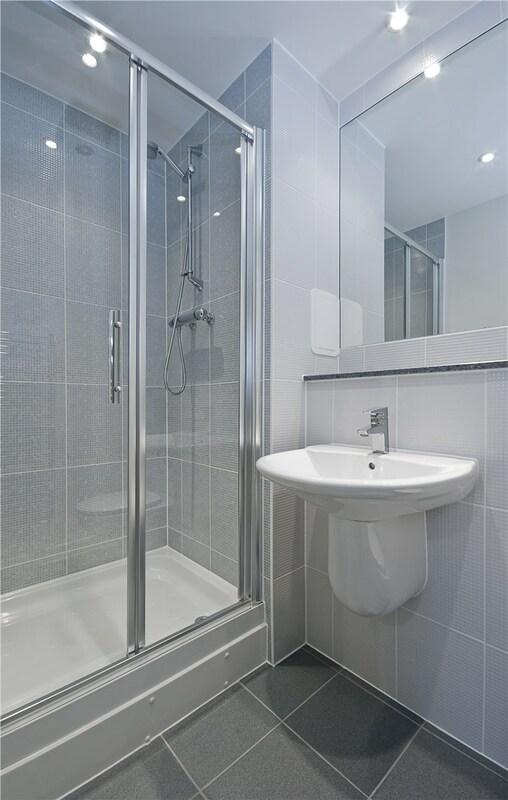 Bathroom renovation is a complicated process, and a qualified expert will know how to maximize the space without changing the layout of the pipework. This translates into enormous savings for the homeowner. 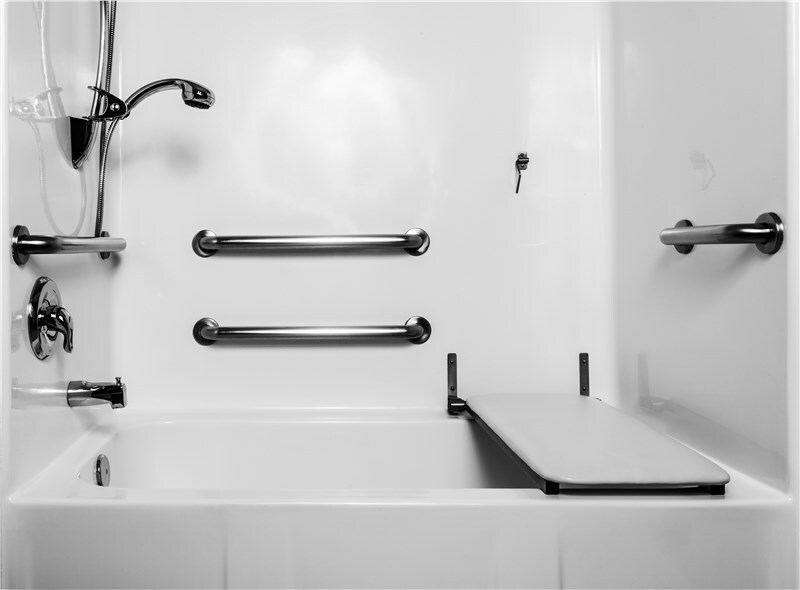 If you do need to rework your piping, your contractor will be able to find the most cost-efficient methods for remodeling your current bathroom. As much as you might love that chartreuse, antique bathtub or the spaceship shower vessel you found at a novelty furnishings store, you may want to think twice about buying it for your home. Styles, tastes, and preferences change, and going overboard on décor could prove to be a mistake—especially if you’re planning on reselling your home in the future. If you’re interested in getting the most return on your investment for your bathtub replacement or shower remodel, simplicity is key. Think basic, blank-slate, and neutral for your bathtub, shower, and vanity, which are the most expensive items in your bathroom and the hardest to replace. 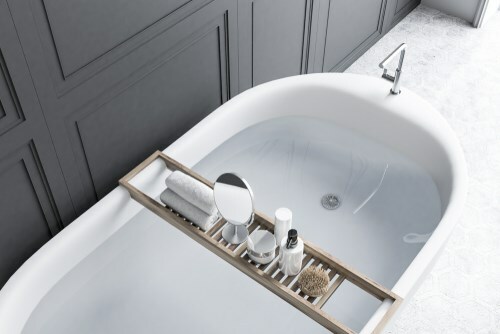 Plain white, off-white, or soft, earth-tones are best for bathtubs and tile colors, and transparent glass shower doors are a popular option for shower replacement. 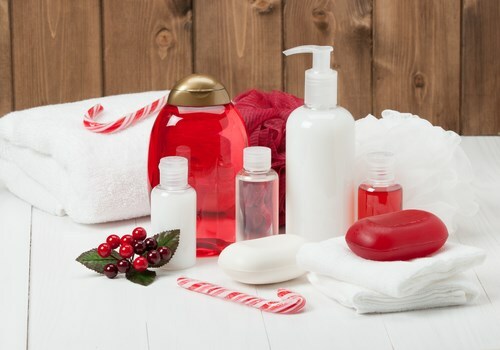 Use neutral bath products like these as a permanent base for your décor plan, while injecting personality into things you can easily (and affordably) change or update should it become necessary. For many of us, the bathroom is an escape—one of the few places inside your home where you can truly be alone. If you’ve ever dreamed of having your own private getaway inside your home, consider transforming your bathroom into a luxurious spa oasis, just for you. · Earthy textured accent walls in rough stone, wood, or pebbles. · Marble or stone flooring for a cool, sleek, and designer finish. · Oversized rain and massaging showerheads for a gentle, relaxing spray. · Jacuzzi-style spa tubs or a deep-soaking Japanese Zen-style bathtub. · Dimmers for soft, shadowy lighting around your tub area. · A small Zen garden or tropical potted plant area. You can never have enough storage areas in your home, and this rule certainly includes the bathroom. One of the latest trends we’re seeing in bathroom renovation is adding storage—walls of storage, in fact, and what we like to call “utility accent walls”. Utility accent walls are built-in storage features covering a large wall space in the bathroom. They’re useful and practical, while adding plenty of character to define your décor. You can even mix in shelving to store attractive pieces like shells, art, hand towels, books, and more—providing additional opportunities to show off your personal style and flair. 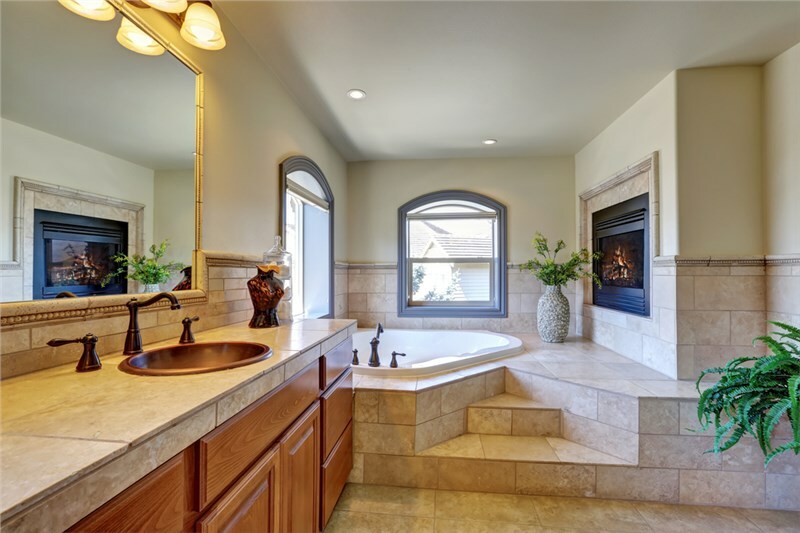 For more helpful tips and fantastic ideas for making your bathroom renovation project a success, the design consultants at Luxury Bath of Tampa Bay can help. For more information on our bathroom remodeling work, give us a call or fill out our online form for a free quote.